The first few months of the year gardeners spend germinating seeds and then potting them up and hardening them off so they can go outside. 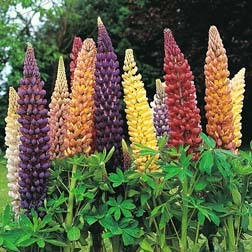 Harrod Horticulture have plenty of products to help you do this. 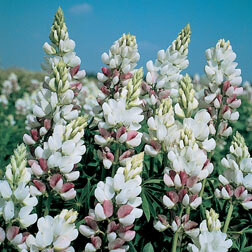 Propogators will get your seeds off to a good start. Poly tunnels and covers can keep the worst of the weather off them too. 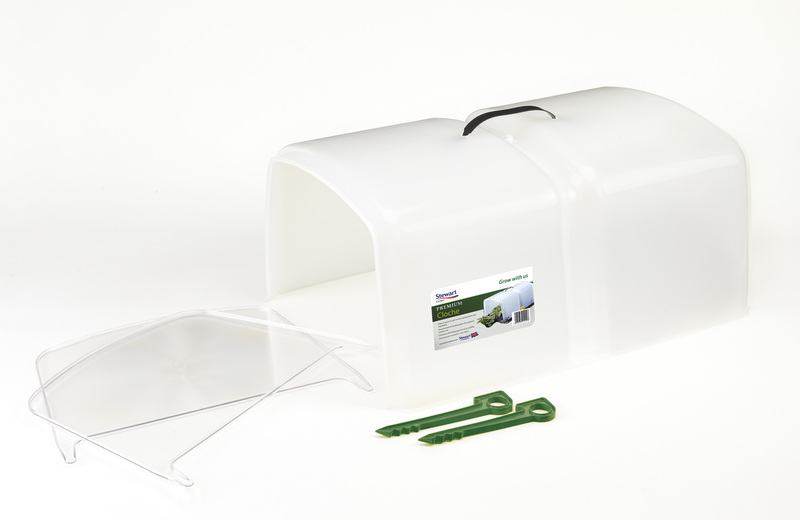 On The Back Of The Popularity Of The Almost-cant-do-without Super 7 Propagator – A Mainstay Of Any Greenhouse Or Potting Shed Propagation Department – Weve Added The Self-watering Super 7 Propagator To Our Extensive Range Of Propagation Equipment. although Theres No Heated Base To The Self-watering Super 7 Propagator, There Is An Innovative Self-watering System To Give Seedlings And Young Plants Plenty Of H20, Consisting Of A Platform Covered In Capillary Matting Housed Inside The 3.4 Ltr Outer Reservoir Tray. 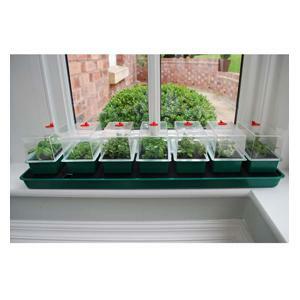 Plants Will Draw Water From The Tray By Capillary Action As And When They Need It And The Seven Individual Mini-seed Trays And Lids – Available Separately – Increase The Quantity And Variety Of Plants Which Can Be Grown.self-watering Super 7 Propagator Comes Complete With 7 Mini-seed Trays And Lidsall Lids Fitted With Adjustable Vent3.4 Litre Water Reservoircompletely Self Wateringuses Capillary Matting To Draw Water Into Soilideal Entry Level Propagatorsimple To Assemble And Perfect For Childrenmeasures 76cm/30″ X 17.5cm/7″ X 15cm/6″ Htailor Made For Windowsill Growingjust The Job For Starting Off Seedlings In The Kitchenuse In An Unheated Greenhouse For Late Spring/summer Seed Sowingthe Mini-seed Trays And Lids For The Self-watering Super 7 Propagator Are Available Separately, Allowing You To Run A Succession Sowing Programme And Keep A Constant Supply Of Fresh Salads And Vegetables. Visit The Super 7 Propagator For Full Details. Get your growing year off to the best possible start by taking advantage of our great discounts on these seasonal picks! 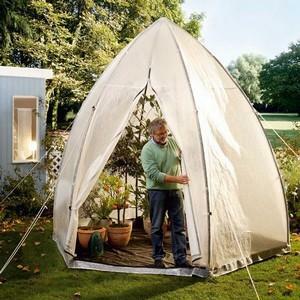 Perfect for those embarking on a grow your own journey! All you have to do is quote ECODEDEAL at the checkout. Hurry! Valid whilst stocks last! 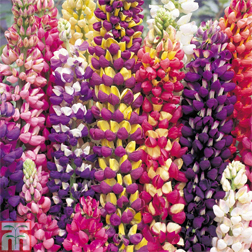 Every gardener would like tons of colour and new plants in their garden. When budgets are tight though you really need to spend wisely. 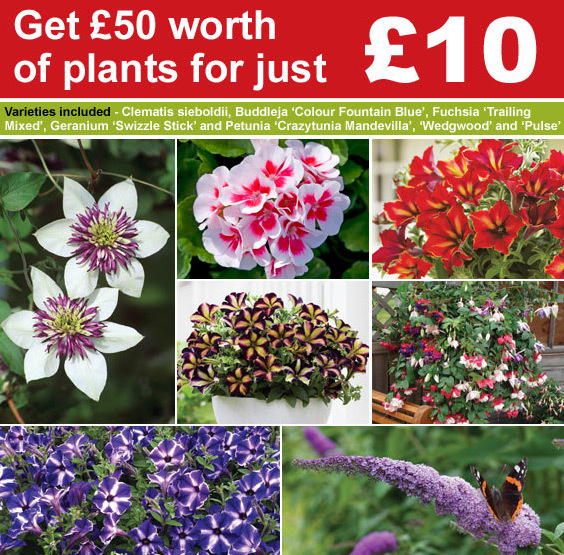 This great offer gives you some fantastic plants that will fill your borders with colour. 3 jumbo plugs of Clematis sieboldii – The crisp white petals and rich purple stamens of this show-stopping clematis are fantastic for transforming your walls and fences into a floral showpiece. 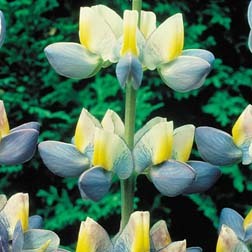 Height: 2.5m (8′). Spread: 1m (3′) Pruning group: 3. 3 jumbo plugs of Geranium ‘Swizzle Stick’ – This striking new geranium produces an abundance of beautiful white flowers with a vivid-red, central splash over a long flowering period. Height: 30cm (12″). Spread: 25cm (10″). 3 jumbo plugs of Buddleja ‘Colour Fountain Blue’ – This buddleja is far from invasive with a neat compact growth habit that will fit nicely into your borders and containers. Height and spread: 90cm (35″). 1 Postiplug each of Petunia ‘Crazytunia Mandevilla’, ‘Pulse’ and ‘Wedgwood Blue’ – Never-before-seen patterns and colours! These compact, upright petunias offer great weather resistance, ensuring a brilliant performance in pots, beds or borders. Height: 25cm (10″). 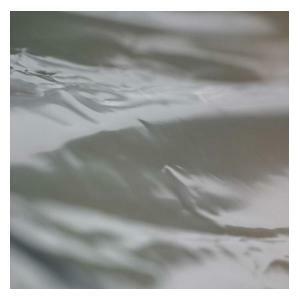 Spread: 30cm (12″). 5 Postiplugs of Fuchsia ‘Trailing Mixed’ – Fill your hanging baskets and containers with this kaleidoscope of colourful trailing fuchsias. 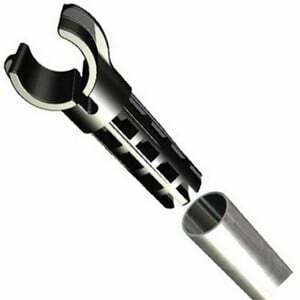 Height: 30cm (12″). Spread: 45cm (18″). Over the past month we’ve all seen how unreliable British weather can be, see-sawing between snow, wind and heavy rainfall and unusually warm winter temperatures! 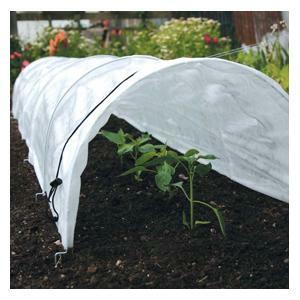 Avoid getting caught out, and have Stewart Garden’s cloches at the ready to protect your plants from adverse weather conditions. 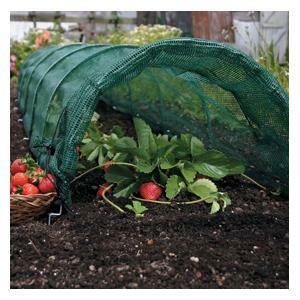 · Available in different sizes tailored for your specific use, Stewart Garden’s cloches have a rigid and durable design, keeping both pests and the weather at bay from your plants. 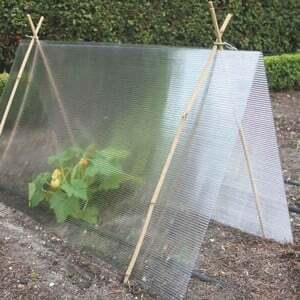 · The large cloches are extendable, giving protection to areas as large as you need, and also have a controlled watering feature. 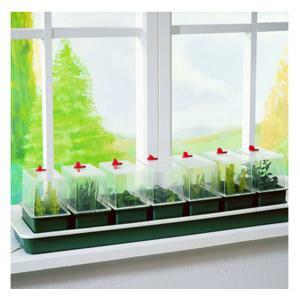 · End pieces are offered in this range for added plant security, or they could even be paired together to make a mini-cloche. 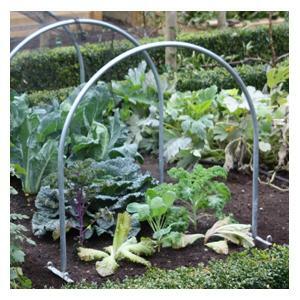 · If ventilation is of high priority for your plants, a set of cloche pegs may be used to elevate the cloches, allowing air to access them freely. 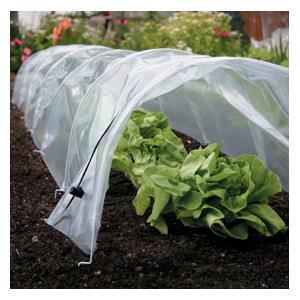 Alternatively, the pegs can secure your cloches in strong winds. 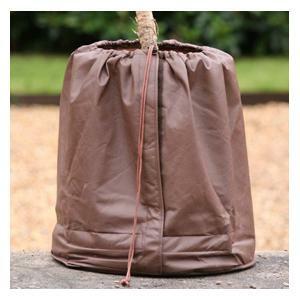 These look really useful all year round given the awful weather we had last year. Seedlings are often damaged as much by wind and rain as temperature so keeping the elements off seedlings and young plants is important too. 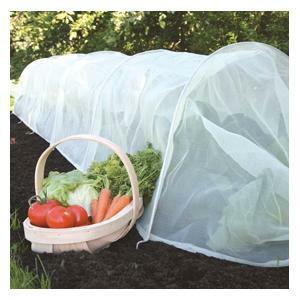 If you use cloches you extend the growing season a little bit at each end – so if you use them during the spring don’t forget you can use them later in the year too. Prison Land to become Allotment land! Land near a Sheppey prison is to be opened up to the public so the community can grow sustainable food. The Ministry of Justice is drawing back its boundaries in Eastchurch, making acres of space available for the benefit of people on the Island. A plot measuring 100m by 30m is to be offered as free-to-use allotments from March 1. A total of 18 polytunnels will also be built with each one covering 13m by 10m as well as three large greenhouses. There will also be an area to sell fresh fruit and vegetables and a couple of storage sheds. It is hoped 100 horticulturists will take advantage within the first year with a view to a further 400 over three years in similar projects across the Island. 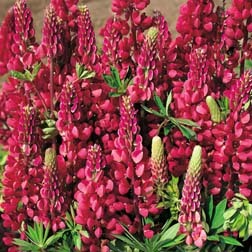 Advice on growing lupins from seeds. If you soak the seed overnight before sowing you should get a better success rate. 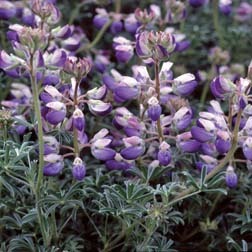 They will germinate at 18-20C (64-68F). 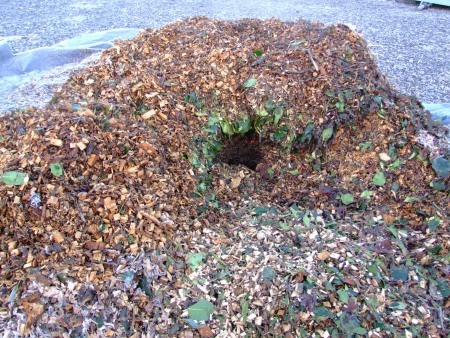 Use good free draining compost and add a layer of compost of vermiculite, 3mm (1/8in) deep. Place in a propagator or seal container inside a polythene bag until after germination, which usually takes 18-21 days. 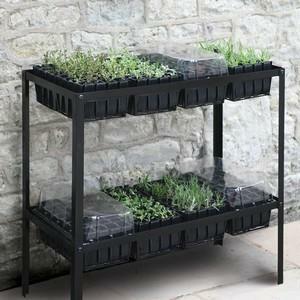 Transplant seedlings when large enough to handle into 7.5cm (3in) pots and place in cooler conditions. After all risk of frost, plant out 30cm (12in) apart.